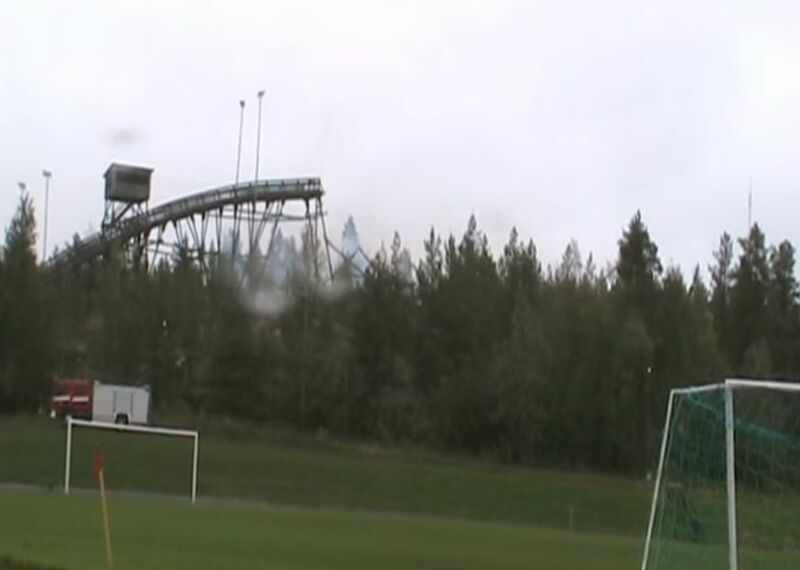 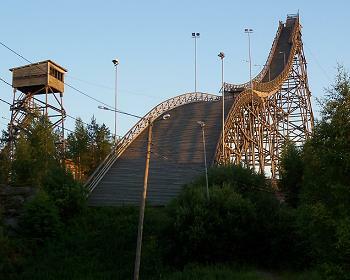 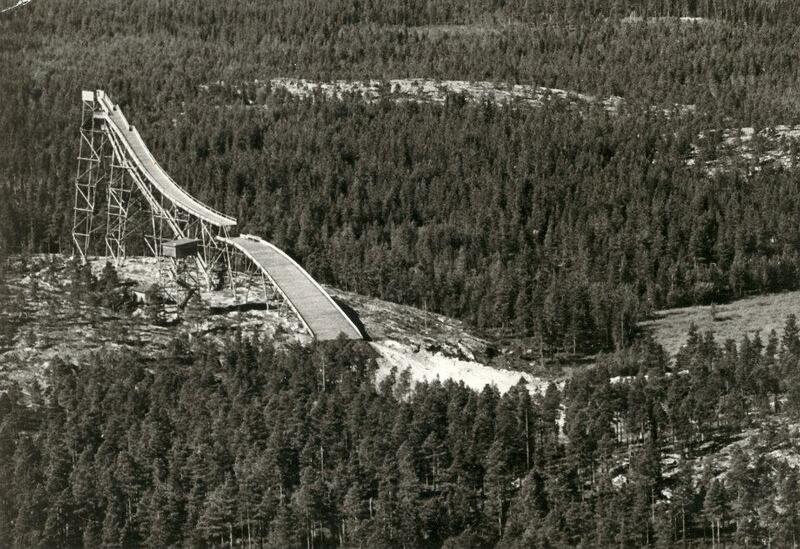 Just like some other Finnish jumps, too, the Kaustinen jump is not built up at a hill, but created with a wooden construction. 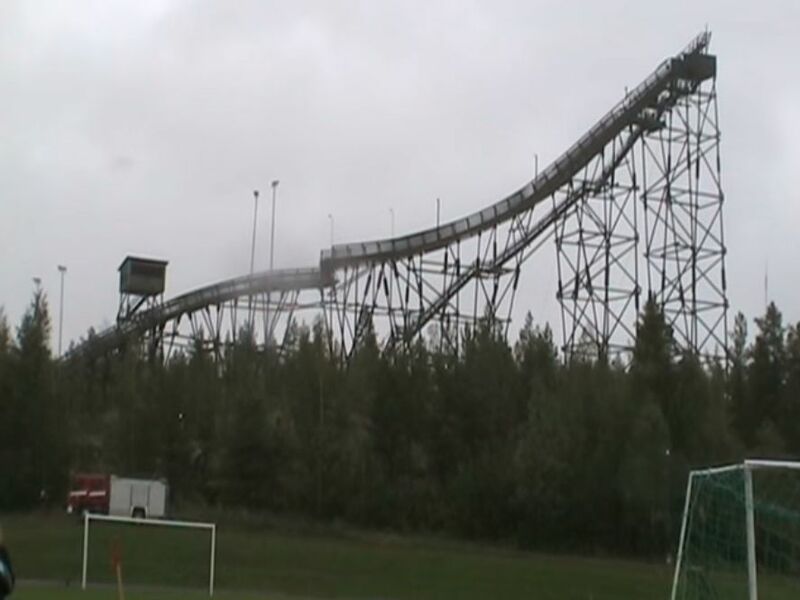 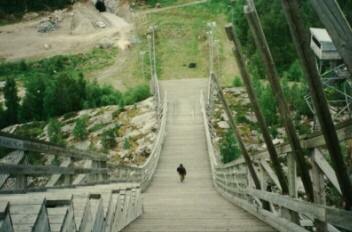 Hill record was 54,5 m by Matti Nykänen. 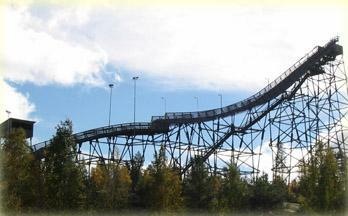 Hill was demolished in 2006. 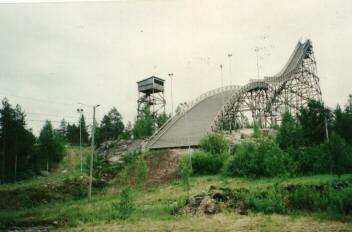 And that wasn't that easy.Hill record was hold by Matti Nykänen.